Former SVA CEO, Michael Traill explores innovative ways to build an efficient capital market for social purpose – one smart and sustainable enough to solve today’s entrenched social problems. Michael Traill: “Money isn’t flowing to the right places to achieve social impact”. In 12 years at SVA, we’ve had the privilege of working with a broad spectrum of leaders, social entrepreneurs and social purpose organisations who are committed to improving the social fabric of this country. In our role as an enabler, a catalyst and a partner investing in social change, we’ve seen a lot. We have funded over 40 high quality social ventures, drawn from over a 1000 that we’ve reviewed. We’ve directed over $45 million of funding in support of their work. We’ve advised federal and state governments on building social enterprise markets and are managing one of the country’s first social enterprise funds. Our consulting team has completed over 550 projects with more than 300 clients including some of Australia’s largest and most respected social purpose organisations as well as government and funders. We have assisted them to determine their strategic priorities and measure their outcomes. We were an anchor partner in the landmark GoodStart transaction, and our impact investing team has pioneered social benefit bonds in Australia and is at the forefront of building this market. Through all this experience we’ve learnt a huge amount. What has worked, and has made a difference in everything we have done, has been our ability to access capital and funding; to help identify and work with the best talent available and to be clear about the evidence of what works. Capital. Talent. Evidence. You see these words reflected in the SVA foyer. They sit at the centre of what we do. 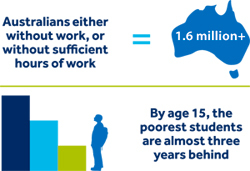 There are more than 1.6 million Australians without work, or without sufficient hours of work. …how do we create an efficient capital market for social purpose outcomes? 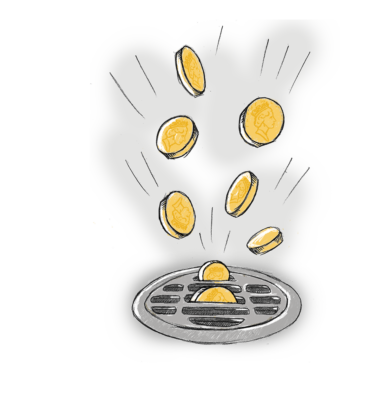 Our conclusion is simple and powerful: money isn’t flowing to the right places to achieve social impact. The challenge is: how do we create an efficient capital market for social purpose outcomes? Because at the moment it just doesn’t exist. What does efficient capital allocation look like? I was confident that they would identify the best quality management talent to drive the new business. As students of corporate history will know, the company raised $2.6b from the rights issue. 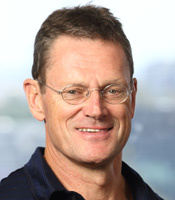 Wesfarmers appointed globally well-known retail executive Ian McLeod to lead the turnaround. Since then, Coles has performed very well for the group, hitting clearly defined returns targets. Wesfarmers market value has increased from $14 billion to $49 billion. If we don’t address this failure to use capital to drive success, we will be having the same discussion in 20 years time. While the corporate world is far from perfect, it generally does a pretty good job of allocating capital, and this is a good example. Wesfarmers could readily access capital based on its track record of hitting clearly defined targets over a long period of time. Underpinning this was the company’s ability to find high quality management talent to consistently drive performance. Capital. Talent. Evidence. It is the alignment of these that drives efficient capital allocation. The social purpose sector presents a very different picture. If we look at the pivotal area of education and its role in generating productivity for the nation, we have conspicuously failed to allocate funding efficiently. A 3.8% real increase in spending each year from 2000-2012 (a growth of around 45% over this period)has seen at best sideways performance on key global indicators, showing in the failure to improve outcomes for all students. If education was a division of Wesfarmers, it is highly likely that it would be unsuccessful in accessing further funding. If we don’t address this failure to use capital to drive success, we will be having the same discussion in 20 years time. And in the education space alone we will have wasted a potential cumulative GDP contribution of close to 0.7% a year on Grattan Institute estimates. In the social purpose world however the motive for the allocation of capital flows is generally unclear. The driving motivation for the allocation of capital flows in the business world is generally clear. I invested more capital in Wesfarmers because I was driven by a desire for a clear monetary return on investment. That outcome was the desired state of my subscription to the rights issue. 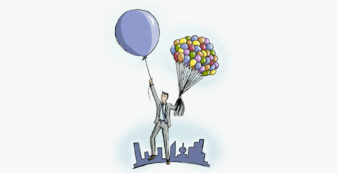 Capital flows in the business world are driven by clear parameters of expected financial return. …we must be clear about the outcomes that we want capital to achieve and be able to measure them. 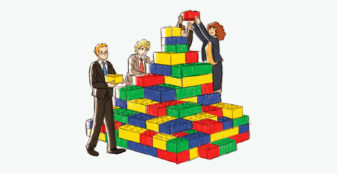 Of course, we understand that the challenge of measurement is different and more difficult in the social purpose world. However, we must recognise that it is the failure to be clear about desired outcomes that is the major inhibitor to effective capital allocation; desired outcomes must be the starting point for any sensible assessment of where to allocate capital. Very simply, we must be clear about the outcomes that we want capital to achieve and be able to measure them. By doing so we will create a virtuous loop so that when outcomes are achieved, we fund based on performance. And when they are not achieved, we defund and re-allocate accordingly. We must drive a more effective and efficient capital market for social purpose. Looking at the aggregate data about sources of capital, it is clear that the government, by orders of magnitude, is the major funder in the social purpose sector. Funding for education in schools (Figure 1) gives some idea of the relative weight of funding. More broadly, government funding is split into three components. While these include endeavours by government to mirror the performance signalling of the commercial capital markets, in practice this is very inconsistent. …government’s concern with process and probity results in a focus on the wrong measures of performance. Social welfare services traded in the private market often benefit from business disciplines as they are set up to drive a profit, or at the very least, to break even. In some cases governments have tried to create market type competition, for example with the Job Services Network. The Job Services Network aims to provide a high quality job placement service for the unemployed. Government uses a competitive tender process to which social purpose and for profit organisations can apply. Criteria are based on the capacity to deliver sustainable job placement services. Fee for service reflects government specifically funding the delivery of services. Frequently, however, it is the activity, not the result, that is funded. In our observation, this can lead to service organisations having a vested interest in not changing an approach which is failing to deliver real outcomes. Where is the incentive for change if government keeps funding the same service doing the same things, regardless of the outcomes it is trying to achieve? And finally there is straight grant funding. There are areas where grant funding is more appropriate – think arts-based organisations. However, that is not an excuse for the failure to be clear about outcomes. And the failure to be clear on outcomes exposes organisations which may be doing genuinely transforming work, because in times of austerity the easiest cuts are frequently grants. The challenges for government funding are well documented. We’ve seen and experienced many examples where government’s concern with process and probity results in a focus on the wrong measures of performance. The all too frequent result is a micro-focus on activities and what, at SVA, we call ‘busyness’ indicators. These include things like detailed quantification of the nature of programs run and numbers of people attending, together with micro-information on activities undertaken. I learnt an early lesson on this from my colleague Kevin Robbie, Executive Director, Education at SVA, when we secured government funding five years ago to create long term employment, for people who were excluded from the job market, through social enterprise partnerships. At the time, we were still a pretty small organisation with a finance and reporting team of two people. Kevin said we would need at least another four-day a week resource to process and track the acquittals needed to secure the government funding and comply with reporting requirements. I was in disbelief – but he was right. From the education example, we see that philanthropic funding is relatively small. We hear the argument that this private and commercially-sourced philanthropy can be flexible and strategic in ways that government struggle with. However, in truth at SVA we have seen limited evidence of this except for very small chunks of funding. I would still characterise much of the corporate and individual giving in this country as ‘spray and pray’ philanthropy – small chunks of fragmented giving based on lots of heart and not much use of head. The virtuous loop in which capital flows to high quality, well run organisations with an evidence base breaks down. The table below highlights the core breakdowns or bottlenecks. In contrast we can look at the bright spots – the examples of positive change that paint a picture of good practice. These bright spots underpin four key recommendations that will drive much needed change in the social purpose capital market. The truth is that in many cases funders are not all that clear about the outcomes they want, nor are they monitoring outcomes. A survey of major United Kingdom trusts, charitable foundations and corporates, by New Philanthropy Capital (NPC), revealed that only 45% measured the impact of all their funding and only 38% used evidence of impact in their decision to award funding to applicants. Both government and philanthropic funders struggle with funding for the long term. Of course, part of this is that it can be easier to fudge results in the social purpose world – to talk about individual stories of success rather than consistent, replicable systemic results. 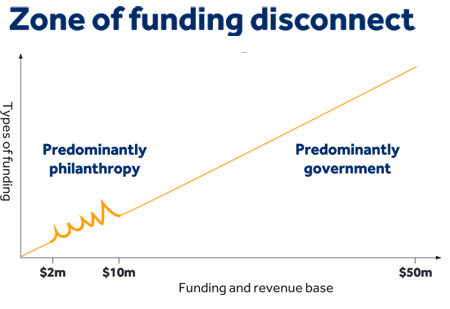 Both government and philanthropic funders struggle with funding for the long term. Our experience tells us long term social change is hard. One of our clear insights from 12 years in the sector is that to systematically change the trajectory of opportunity for excluded Australians requires a patient commitment over 10 to 20 years. This is not something that comes naturally to philanthropic funders who typically offer short term funding. Nor to government, where funding is often tied to short term political cycles. There are emerging examples of good practice – the ‘bright spots’ which provide powerful precedents for much needed change. The common denominator is a clear focus on long term measurable social purpose outcomes and, where relevant, clear financial targets. On a recent visit to New Zealand, I took a closer look at public sector reforms anchored in greater clarity of long term outcomes. Central to this work is a clear articulation of better public service outcomes and targets in six core areas including reducing long term welfare dependence and supporting vulnerable children. The New Zealand Government is quite specific in outlining why these areas are important, what steps are being taken to drive results and what will provide evidence of successful performance. There is also an increasing focus internationally on determining common and readily understood performance targets. NPC’s report highlighted that clear outcome measurement in the social purpose world can and should form the basis for more rigorous funding allocation decisions. The increasing adoption of explicit measurement tools by leading strategic funders in global philanthropy, including the Bill & Melinda Gates Foundation, is a major driver of this welcome trend. There are also countries which have made real progress in long term performance in education – think of Finland, Singapore or perhaps culturally closer to home, Canada, and what has been done in Ontario. They have made well-documented commitments to identifying and supporting the known levers of performance change over periods of at least a decade. How is that high quality, well run social purpose organisations, of which we would immodestly claim SVA to be an exemplar, find it so hard to access the kind of growth capital that is pivotal to their continuing maturation and development? It is very hard to get funders to provide the significant chunks of capital needed for sustainability. In my prior life in private equity, we actively chased opportunities to invest capital in businesses that were building a track record and were run by high quality managers. Yet in the new social purpose game I am playing, organisations like SVA are hitting a roadblock. It is very hard to get funders to provide the significant chunks of capital needed for sustainability. I call this mismatch, the zone of funding disconnect. “We only fund for three years. While we like what you are doing and your outcomes are good, our strategy is that we provide support for that period and expect you to build a diversified funding base.” To which I think, ‘Really? From where?’ There are few enough funders in this market prepared to fund for even three years as it is. And our agenda is a 10 year vision of social change. …how many businesses would you invest in that have no depth around marketing, finance, or strategy? Or – and this is my particular peeve, “We really don’t like funding administration and capacity for organisations, we prefer to fund programs.” And I think, ‘Is that so? And how many businesses would you invest in that have no depth around marketing, finance, or strategy? Do you think these people drop off trees and work for nothing because they feel such bliss about working in the social purpose sector?’ If you rate anything that SVA has done, it rests very heavily on our ability to access – and pay for – high quality people who have these skills and stick around for the long term. Fifty different sources must have sent me the heavily viewed Dan Pallota TED talk that captures this issue vividly and eloquently. He makes a compelling case for the need to bring relevant business disciplines, thinking and strategy to the social purpose world, starting with the need to fund administration and capacity. The fact that Pallota’s talk has generated such traction is an encouraging sign. We do think the ground is shifting in this debate. It needs to. We are delighted that a number of foundations in Australia now explicitly offer capacity-funding grants, recognising the critical need for growth capital to get quality people on board to enable organisations to take the next step. …aggregates private and public capital… to scale long term partners who have demonstrated success. Government is also building an understanding of the issue. The UK Charities Code of Conduct explicitly recognises the need for government contracts with social purpose service providers to incorporate reasonable and realistic contribution to management and administration. While such charters are under test, the issue is being increasingly acknowledged. We also note with great interest the work of leading US philanthropic the Edna McConnell Clark Foundation (EMCF). At a conference in the US last year, EMCF President and CEO, Nancy Roob, talked about the philanthropic sector “still woefully underinvesting in what we already know works”. Taking a different approach, EMCF has established the True North Fund (TNF) that aggregates private and public capital from EMCF, the US Government’s Social Innovation Fund and other philanthropists to scale long term partners who have demonstrated success. In 2014 TNF contributed $120 million of much-needed (albeit restricted) growth capital for implementing expansion and evaluation plans. It sounds a lot like my decision to increase investment exposure to Wesfarmers. It’s common sense really to keep backing things that continue to perform. In many ways it should be the easiest and most rational decision to make. At the big end of town there is movement afoot. The power bloc of G8 nations has formed an impact investment advisory task force, headed by global impact investing pioneer Sir Ron Cohen. We are part of that coalition. At its heart, and with the most heavyweight support, the group is about creating a globally scaled impact investing market, that liberates billions of dollars of capital, that even conservative pension and superannuation funds will need to embrace. In the Australian context there is a particular opportunity in the $1.8 trillion superannuation market, where approximately 35% of such funds are self-managed superannuation funds (SMSFs). We need to ensure impact investing products meet the financial hurdle necessary to pass the sole purpose test (that their sole purpose is providing retirement benefits for fund members) to enable investment from both SMSF and mainstream superannuation funds. The bond has been a powerful force in focusing this highly respected service delivery agency on driving outcomes. 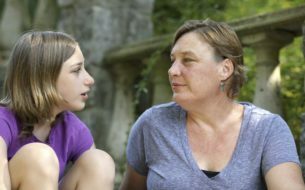 We facilitated the first Australian SBB in partnership with the NSW Government and UnitingCare in the vital area of foster care, backing an evidence-based program that reconnects young children with their birth parents. The quantifiable savings from successful outcomes fund reasonable financial returns to investors, capacity growth funding for extension of the program, and savings for government and taxpayers. We have just announced the first results: the key performance indicators on the critical metric of reconnection of children with their birth parents are on track, and an initial dividend of 7.5% to social investors in the first year of the bond. Claerwen Little, Director, UnitingCare Children, Young People and Families, says the bond has been a powerful force in focusing this highly respected service delivery agency on driving outcomes. Win for the government, win for investors, win for the service provider. We are in active conversations with governments and treasurers around the country who find the case for developing SBBs in appropriate areas compelling. The attraction is powerful and a great reinforcement for applying different practices to fund long term social purpose goals by being very clear about quantifiable outcomes. So out of this rather bleak picture of a dysfunctional, multi-billion capital market where the link between funding and the quality of outcomes at best lacks consistency and at worst fails to drive any obvious social change, is there any cause for optimism? The picture of emerging bright spots of good practice tells us yes. And if we consider all of this to be a call to arms – and at SVA we think it should be – we need to understand what has been driving these beacons of better performance and how to make them mainstream, rather than sporadic. We believe there are four drivers of a more consistent and systematic approach to capital allocation. 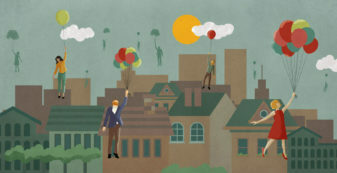 The social purpose sector must embrace the need for change. There are still many providers who acquiesce in the grants game, by chasing and accepting short-term funding from a variety of sources. Providers themselves need to be more strategic, more outcome-focused, adopt longer time frames, give greater priority to prevention, and fashion service offerings that have a real chance of achieving deep long term change. And when smart philanthropists ask for evidence of the impact of their investment, be able to provide it. This is an essential requirement to catalysing change in government, institutional investor and philanthropic behaviour. The recognition that when government supports programs, it needs to allow and enable service providers to be accountable for delivery of outcomes; but not to manage funding allocation in such a way that it distorts program delivery and performance measurement. A scaled impact investing market is possible but will require mainstream institutional support to build a market of the scale needed. Focus is required to build the large scale partnership funded deals. Government will need to be an engaged participant in these partnerships, providing, where appropriate, the kind of long term funding and/or policy commitments that help create impact investment products which provide institutional quality, financial returns and measurable social outcomes. The effective precedent has been established in GoodStart, where the provision of childcare benefits and rebates are fundamental to the stability of the financial structure. Financial institutions are conservative. They will respond to evidence of performance and availability of robust product before they commit. The Gates Foundation’s work in education in the US is an example of this. In particular, the strategy of sharing the findings of the US$45m Measures of Effective Teaching (MET) project enables a large number of schools to use the insights. The Foundation explicitly builds partnerships with teacher unions and government education departments to maximise the reach, impact and funding support for this powerful work. …we can use catalytic philanthropy to drive social change. At SVA we believe that we can use catalytic philanthropy to drive social change. We can get the right partners aligned around the game-changing issues, and use the leverage of a combined and strategic ‘ask’ from business, philanthropic and social purpose organisations. We have brokered major corporate philanthropic support to help take an outstanding program called Exceptional Teachers for Disadvantaged Schools from Queensland University of Technology to campuses around the country. How? By documenting clearly what works, broadening access to capital and ensuring the right talent is brought to the table to get it to happen. And very explicit in that process is demonstrating to government as a policy and funding partner what can be achieved. As the analysis of the social purpose capital market showed us, government must be engaged. I grew up in the Victorian town of Morwell; now a postcode of disadvantage. What happens in Morwell, where kids of potential and promise are not given full opportunity to achieve, should not be acceptable in a country that prides itself on the notion of the fair go. It’s not morally consistent with what most of us believe. It’s also dumb economically and we pay the productivity costs for generations of talent and potential slipping between the cracks. We must think afresh about how we change that. Building a new capital market is not some interesting intellectual construct. It requires a fundamental and courageous view of how to do things better from leaders across the sectors who truly care about investing in social change. SVA looks forward to working with you to make that happen. This article aims to condense more than a decade of SVA’s practical experience and partnerships into a clear manifesto for action and change. It has benefitted greatly from thinking and input particularly from Jeff Borland, Bob Bryan, Mark Carnegie, Robin Crawford, Gary Gerstle, Ken Gibson, Olivia Hilton, David James, Rob Koczkar, Ben McAlpine, Mark Nicholson and Jan Owen. With thanks for extensive editing and data input from Catherine Feeney, Susan Metcalf, Natasha Morris, Tambelin Mueck, Caitlin Phillips and Karen Prout. Here the term capital means a broad definition of capital and funding as applied to organisations and programs driving social purpose outcomes. At one end of the spectrum this could be in the form of social investment grants where there is no financial or capital return but with clear and accountable social purpose outcomes. At the other end of the spectrum this could be in the form of funding where there is both a financial return and a social return. 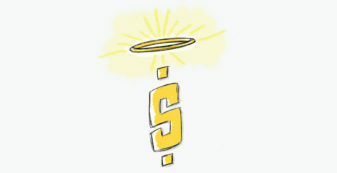 GoodStart and impact investing products such as social benefit bonds are good examples of this. Australian Government funding for schools explained (Table 8), Marilyn Harrington, Parliamentary Library, March 2013 and an estimate of philanthropic spend on schools education based on available data. Despite massive investment in the social sector, Australia has not made much progress on the core moral and economic issue. The major inhibitor to effective capital allocation for social purpose is the failure to be clear about desired outcomes. Four steps to drive an efficient and sustainable capital market are: the social purpose sector becoming more long term and outcomes focused; government leaders driving the culture change needed; mainstream institutional investors investing in social change; and catalytic philanthropy backing programs and organisations that can drive systemic change. On a recent trip to Indonesia with the University of South Australia, Anna Crabb got to see firsthand the potential of Social Return on Investment (SROI) to do more than just measure impact.